Takeaway: To make an informed decision that will be beneficial for the owner, the contractor and the client, it's important to understand how these different trenchless construction methods work. There are many trenchless construction methods that can be selected based on prevalent geological conditions and type of project. It is advisable to understand how different trenchless construction methods work in order to make an informed decision that will be beneficial for the owner, the contractor and the client. Here we will take a look at utility tunneling and pipe jacking, and try to understand them better. A casing pipe is directly jacked into the ground behind a jacking shield. The pipe forms the lining for the borehole. Since thrust force increases with pipe length, intermediate jacking stations (IJS) have to be constructed for long drives. The shield is pushed forward by hydraulic rams, which are later retracted to manually install liners in the cut section. Once the soil is excavated and the liner is installed, hydraulic jacks are leveraged against the installed liners in order to push the shield forward and the process is repeated. The thrust force is almost negligible because liners are not pushed into place. The carrier pipe installed should be of sufficient strength to be able to withstand earth loads and forces during grouting of annular space that the pipe may encounter. Soil excavation is done in both methods by mechanical or manual means. In pipe jacking, the casing pipe acts as the liner, while in utility tunneling a special tunneling shield is installed in order to carry out the excavation. In pipe jacking, the product pipe is directly installed behind the jacking shield as it progresses through the ground and the pipe itself forms the lining for the borehole. In utility tunneling, the temporary supporting liner supports the excavation until the borehole is complete, after which the product pipe is pushed into the tunnel. The resultant annular space in pipe jacking is relatively small and can be filled with cement grout. In utility tunneling, the annular space between the steel lining and the pipe has to be grouted for the pipe to retain its stability. In pipe jacking the casing pipe lags behind a cutting shield that is pushed into place by hydraulic rams. In utility tunneling, the shield is pushed by hydraulic rams but not the liner. The liner is installed in place by assembling them in the tail section of the shield. Pipe jacking can be used for long installation lengths, but need intermediate jacking stations (IJS). Utility tunneling can also be installed for long lengths but IJS is not required as liner is not pushed through the ground, effectively keeping the forces constant as the tunnel length increases. Pipe jacking is more expensive than utility tunneling because of the need for IJS as the entire process works on the jacking force. Utility tunneling only uses jacking force to push the cutting shield into the soil. Pipe Jacking as well as Utility Tunneling are steerable trenchless methods that do not require excavation of trenches. 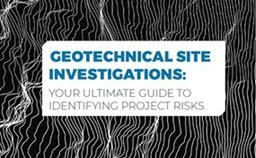 They can be quickly set up and finished if planned well with relevant geotechnical investigation. Pipe jacking, as well as utility tunneling, can be costly for small lengths because of the significant investment required in equipment. Pipe jacking requires skilled personnel to carry out the installation. Dewatering of tunnel path is usually required in both methods. Pipe jacking, as well as utility tunneling, may face trouble if big boulders or very hard rocks are encountered. Since pipe jacking depends entirely on the hydraulic thrust, such sub-surface features may lead to failure of the project; geotechnical investigation therefore is a very crucial part of the project. Both methods work best in stable and consistent granular and cohesive soils. The pipe materials used in pipe jacking should be able to withstand high compressive forces that will act on it during the process. Both methods are recommended for pipe sizes 42” and larger because of logistical and safety considerations. Utility Tunneling and Pipe Jacking are trenchless construction methods with some similarities and differences. Irrespective of these, priority should be given to thorough geotechnical investigation in order to determine the most suitable method for the prevalent site conditions. Appropriate soil testing and laboratory analysis along with reconnaissance and data study should be carried out for every project. When choosing either of these methods, ground and soil conditions are very important. Accuracy of line and grade is crucial when installing gravity sewers that depend on slope for effective drainage. Dewatering is often essential because the launch pit often goes below the water table. Some job sites may have constraints due to environmental restrictions and physical obstructions on the surface. Due attention should be paid to all factors before deciding on a trenchless method.